I tried to make up for failed posts today and made three things. The first was a drink that was known as a bicicletta (Italian for bicycle) in my heydays. 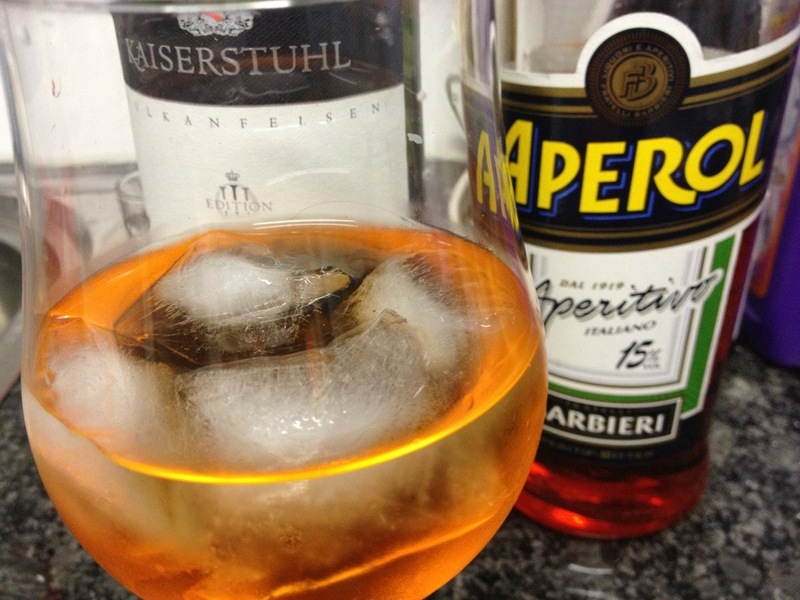 Today they call it Aperol Spritz and it is very trendy or already on its way out? I don't know and I don't care. I keep calling it bicicletta and I like it! The recipe is already in the picture: ice, Aperol & white wine. Use as much or as little Aperol as you like.